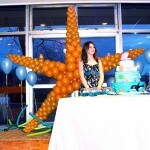 Picture 10. 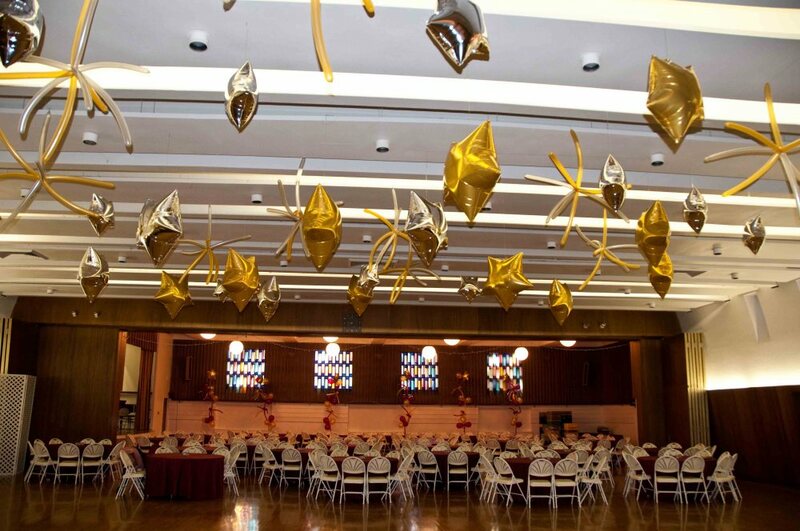 Star balloon ceiling above the dance floor. 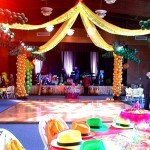 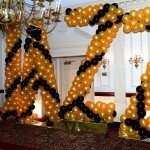 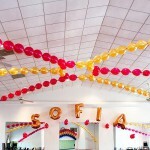 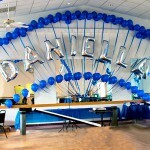 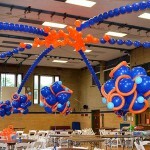 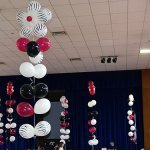 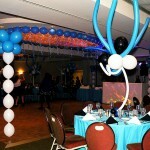 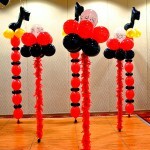 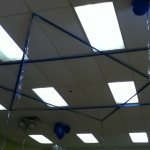 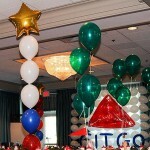 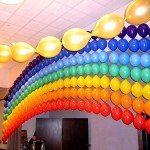 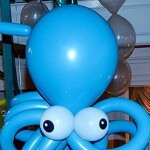 Works for any event, if ribbons can be tied to something on the ceiling - drop down ceiling is perfect. 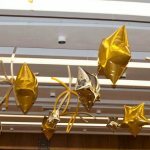 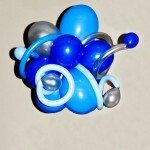 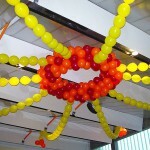 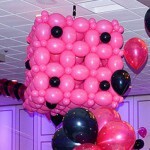 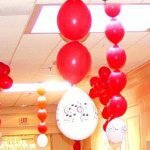 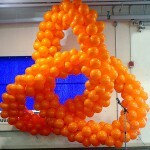 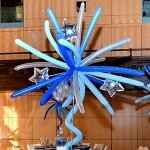 If the ceiling is flat - the stars can be lifted by a helium filled balloon cluster. 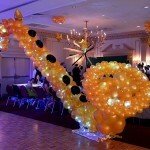 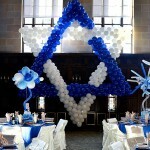 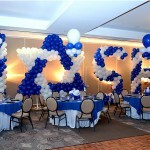 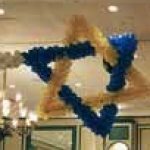 Albany NY Theme: Bar Mitzvah.